To set yourself up for musical success, there are a few key music tools and resources you’ll need to invest in on your journey towards becoming the best musician you can be. Apart from an instrument and a strong desire to learn, every musician’s “toolbox” should include the following: a metronome, tuner, music lessons and a recorder. Let’s take a closer look at why each of these resources are important and how exactly they can benefit musicians. For many beginning music students, keeping time and playing a song at tempo can be extremely challenging since it’s likely a brand new skill. That’s why a metronome is so useful and one of the most essential music tools out there. A metronome is simply a device that produces a steady audible sound to indicate exact tempo. This helps musicians stay on beat and keep the rhythm of a song. Even better, the speed of the metronome can be easily adjusted to match the time signature of any piece. And today, metronomes come in a variety of sizes, shapes, and styles from mechanical to digital to apps, clips ons, dials, and more. In other words, there’s a metronome to fit every musician’s own personal style and preference! There’s no doubt about it: a tuner is a must-have music tool! As we mentioned previously, having a properly tuned instrument is critical to sounding and playing your best. While there are a variety of ways to tune your instrument, nothing is easier and more accurate than a tuner. Whether you play the guitar, bass, drums, or use your voice as your instrument, there’s a tuner out there for you. Even better, tuners are relatively cheap ($15 on average) and are lightweight and small making them extremely portable and perfect for traveling musicians. Learning a new skill on your own is TOUGH. Luckily, you can make it easier by taking music lessons. The advantages of music lessons are many: from custom feedback, expert tips, and personalized guidance to a caring, supportive music instructor and a community of like-minded musicians. Generally speaking, the reasons to take music lessons outweigh any reasons not to. Plus, with music lessons like the ones taught at Scottsdale Music Academy, you’ll be an active partner in your musical education with the power to choose your own songs and learn what and when you want. They say the key to growing is learning from your past mistakes. What better way to capture those mistakes than with a recorder! Recording your practice sessions, music lessons or live shows will help you figure out what you did right and what you did wrong. 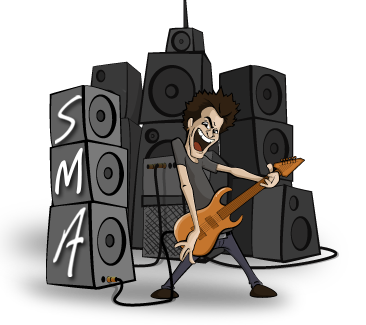 It’s a great way to identify your weaknesses as a musician, so you can take the necessary steps to improve. Last, but not least, it’s extremely important to have a support system to keep you motivated and accountable. At our Scottsdale music studio, you’ll find a whole team of individuals ready to cheer you on when the going gets tough, push you at each and every music lesson, and celebrate every victory with you no matter how small. 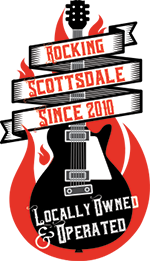 Sign up for a music lesson at our Scottsdale studio today to find out how we can help you in your musical journey!